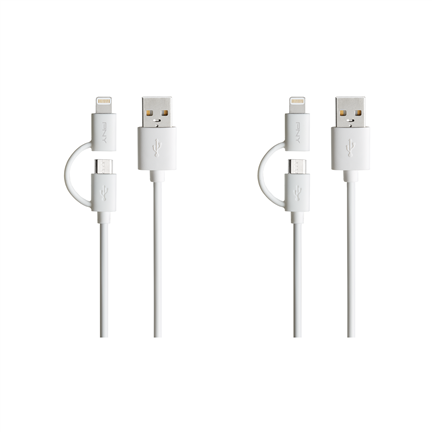 PNY's Charge & Sync Cable with Micro-USB and Lightning Connectors allows you to easily connect to your Apple or Android devices to charge the battery or sync with your media library. Don't get stuck with the wrong cable for your devices. PNY's 2-in-1 provides the perfect solution; one cable compatible with all your devices, Lightning or Micro-USB enabled. The 6 inch length is ultra light weight and flexible, allowing for maximum mobility.